Log into the live demo account and see if Undebt.it will work for you. 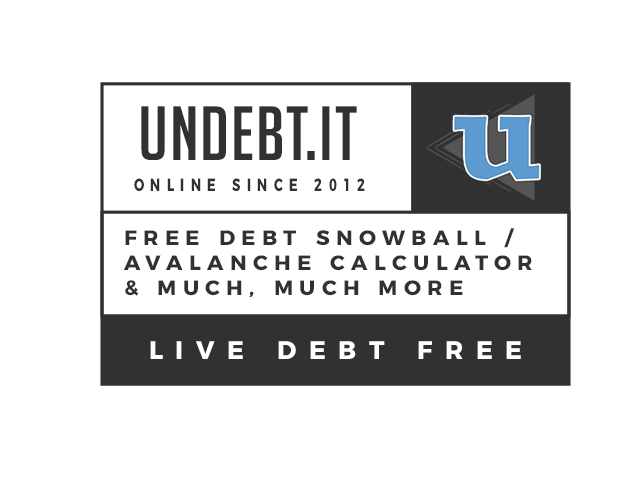 Feel free to add debt accounts, make changes & payments and check out the debt snowball table. Be sure to see how changing the monthly budget amount affects the debt free date. The data gets refreshed daily, so make as many changes as you want. If you try Undebt.it and like it, go ahead and create an account and get started. Show your support with a "like" on Facebook or a mention/follow on twitter - or even better, a small donation. The demo login e-mail is "demo@mail.com" and the password is "tryme"